Google always experiment a new things and tests for its product and now Google has just started to redesign its Search Engine Results page. One of our valuable readers has just accidently got this image and news from relevant sources that Google is redesigning its whole Search Result Page and making changes to its current design with a new color scheme and a lot more white space. One of the Google Representatives also confirmed this news and said that Google is working and conducting one of its user tests. The newly design results page incorporates a tweaked color scheme. The greens, purples and blues are not as harsh as the current set of colors used on Google.com. 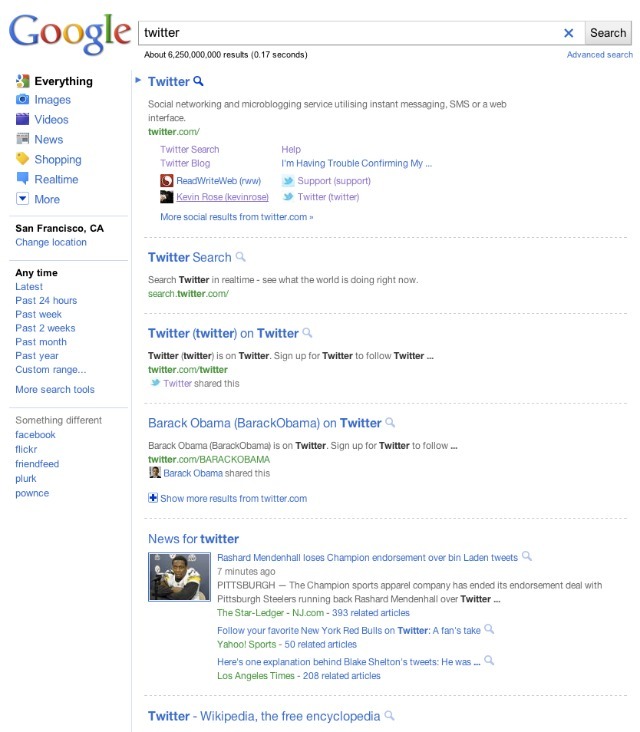 The bigger changes focus on separating and spacing out individual search results. There is simply a lot more white space around each search result and each link. Also, each search result is divided by a dashed line. The new changes are rather dramatic for a search engine used by millions of people daily. Google is gathering data on how people react to the new changes. Those numbers will determine whether or not these changes will move out of testing and become permanent.